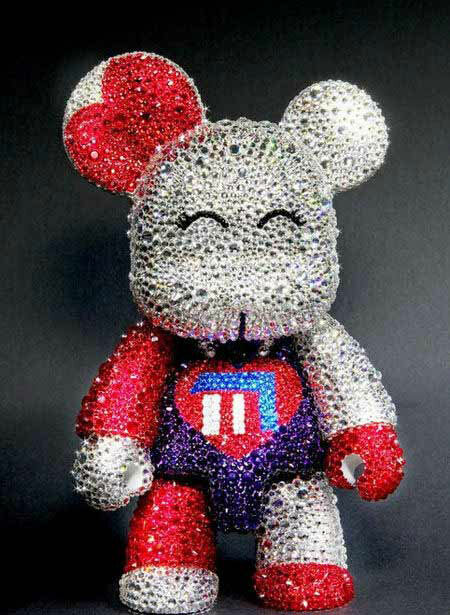 May 2012 - Toy2R - While attending activities in Beijing, Swarovski spokesperson and now designer Michele Reis was surprised with a mysterious gift, an 8 inch Qee Bear covered in nearly 10,000 various sized Swarovski Elements crystals. 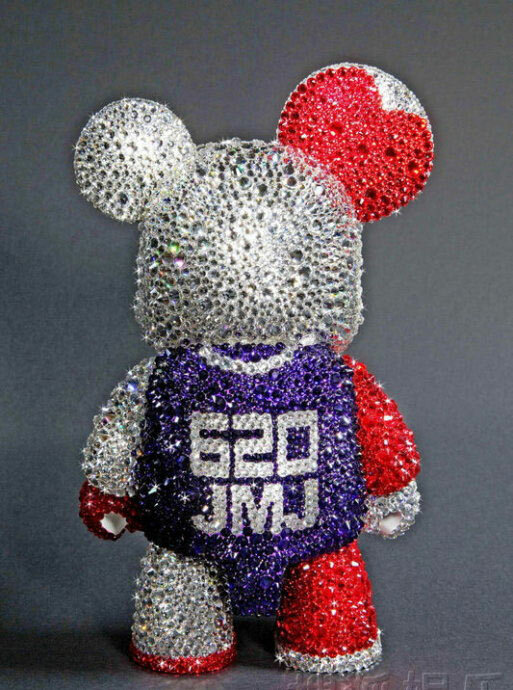 The figure was designed with her birth date as well as "JMJ" the children's charity fund she founded with her husband and son. The Qee also includes design elements such as the "M7 heart" from her Magnificent 7 series of iPhone cases from Play Bling.